The University of West Florida hosted a reception today to welcome the first class of seven students who were recently admitted into the University of South Florida/UWF Doctor of Physical Therapy Partnership Program. The USF/UWF DPT Program expands access to UWF students interested in pursuing a DPT, while meeting a state-identified need for more physical therapists in Northwest Florida, a largely rural region of the state. The Florida Board of Governors approved the formation of the partnership program in January 2013, following the Florida Legislature’s appropriation of $1 million in 2012 to help fund it. The partnership allowed the USF Health School of Physical Therapy & Rehabilitation Sciences to expand enrollment in its nationally ranked, three-year DPT degree program by as many as 12 additional students a year. The newly created slots are competitively available to UWF graduates who meet USF’s DPT admissions requirements. The students will be awarded a $2,500 scholarship for each of the three years they are enrolled in the program. 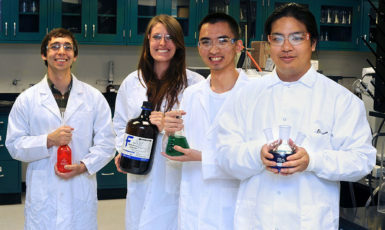 They will spend their first year of studies at USF, followed by two years of studies and clinical internships at UWF. “We welcome these inaugural students to our innovative USF-UWF partnership program that will help meet the state’s rapidly growing demand for physical therapy services,” said Dr. William S. Quillen, director of the USF School of Physical Therapy & Rehabilitation Sciences and associate dean of the USF Health Morsani College of Medicine. Kelsey Brown, a native of Tampa, said her undergraduate experience at UWF, coupled with the knowledge and skills she will learn through the USF/UWF DPT Program, have given her the confidence that she will excel in her future career. 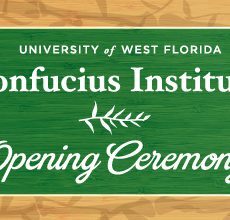 For additional information on the program, visit www.uwf.edu/dpt/.